much , even the simplest change, can have a positive impact on your daily life. 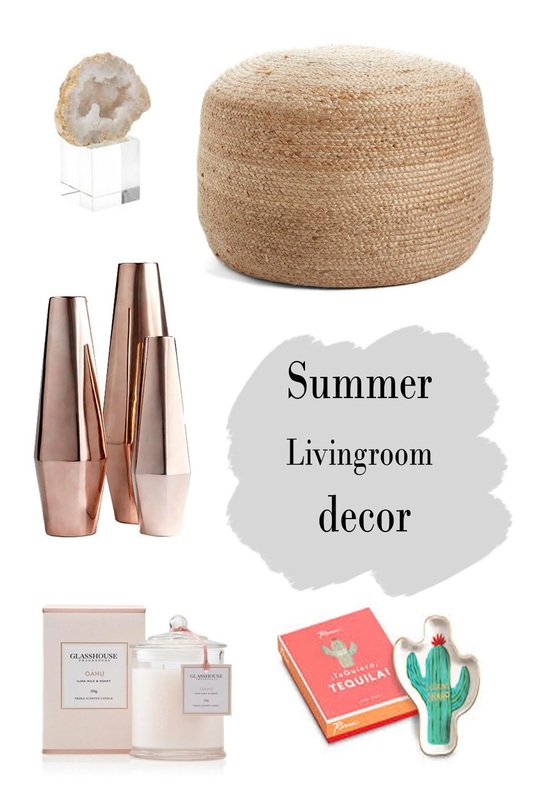 During this season I am always leaning towards fresh living room decoration since let's face it, we are almost at the heart of summer. Plus during June I find myself looking for decorative canals much more than during any other season. Milk and honey candles are at top on my "favorite candles" list like the Glasshouse Oahu Candle for $27 or the Candle Island $28. Believe it or not I had the hardest time choosing my coffee table decor. I draw most of my inspiration from pinterest 's easy coffee table decor ideas and finally I am able to make the most out of it since this particular space has to be both chic and practical. The first thing I added was four gilded coasters (almost the same as Rab Lab 's agate coasters ) from a local, handmade designer to give a boho decor touch and then continued by adding a rose gold vase for only $43.